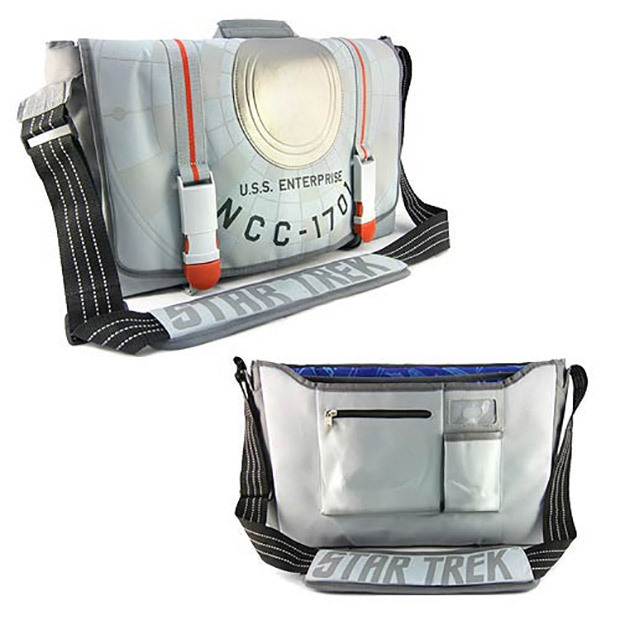 Fans of Star Trek looking for a handy way to carry their tricorders, phasers and Mac Book Pros should look no further than the official NCC-1701 Enterprise messenger bag. The bag has been decorated to look the upper section and bridge of the Enterprise, complete with Starfleet labeling. Plus, its straps and buckles have been cleverly designed to look like the warp nacelles from the original Enterprise. The bag is big enough to hold a 15-inch laptop, and offers several additional compartments and zippered sections.